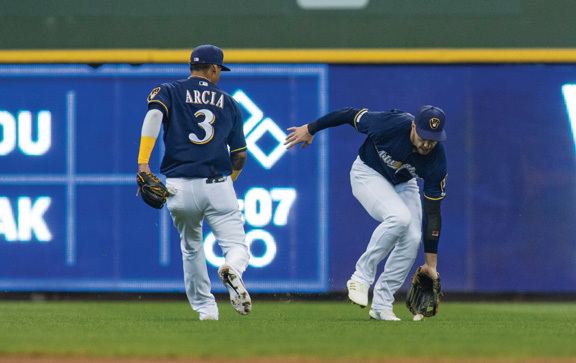 MILWAUKEE — Gio Gonzalez received a standing ovation following an impressive first start with Milwaukee, and the Brewers beat the slumping San Francisco Giants 4-3 on Saturday night. The Brewers pushed their NL wild-card lead to 2 1/2 games over the St. Louis Cardinals, who lost 4-3 to the Detroit Tigers. Travis Shaw also got his 28th home run, taking Chris Stratton (9-9) deep in the first. Jeremy Jeffress recorded the final four outs for his 10th save.